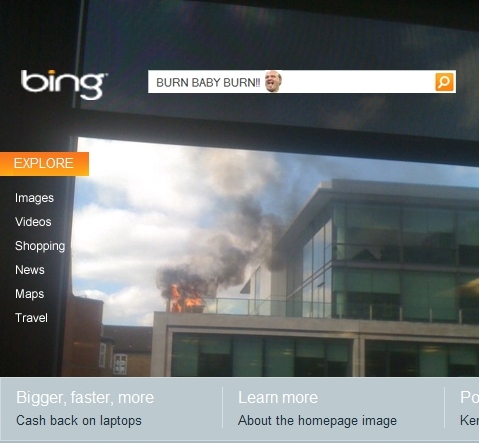 We’re not inclined to refute reports from a professional journalist on Twitter, so when Daily Telegraph reporter Jon Swaine says Google’s UK headquarters in London are currently on fire, we believe it’s true. Especially since the man has managed to provide some evidence by uploading a picture to photo-sharing service TwitPic. 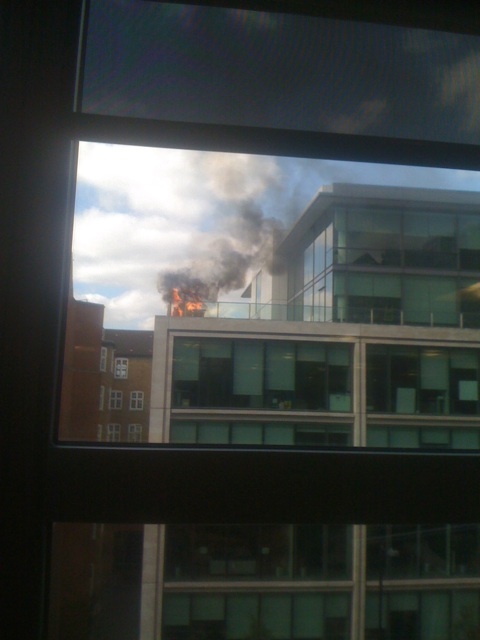 Here’s a clear picture of fire on the roof of some building, supposedly housing Google UK’s offices on Buckingham Palace Road. Let’s hope no one gets hurt. 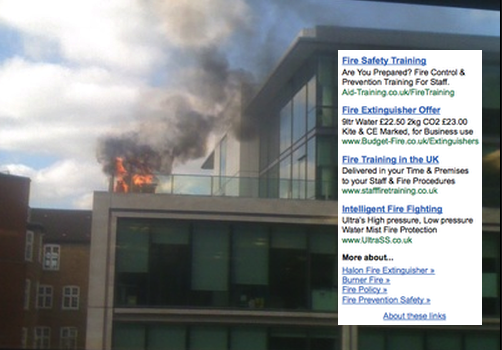 Update: The Telegraph writes the building was evacuated, thankfully no one got hurt and we’re told that the fire (now out) was the result of a tree catching flames during a rooftop terrace BBQ above one of the three floors Google occupies in the building.